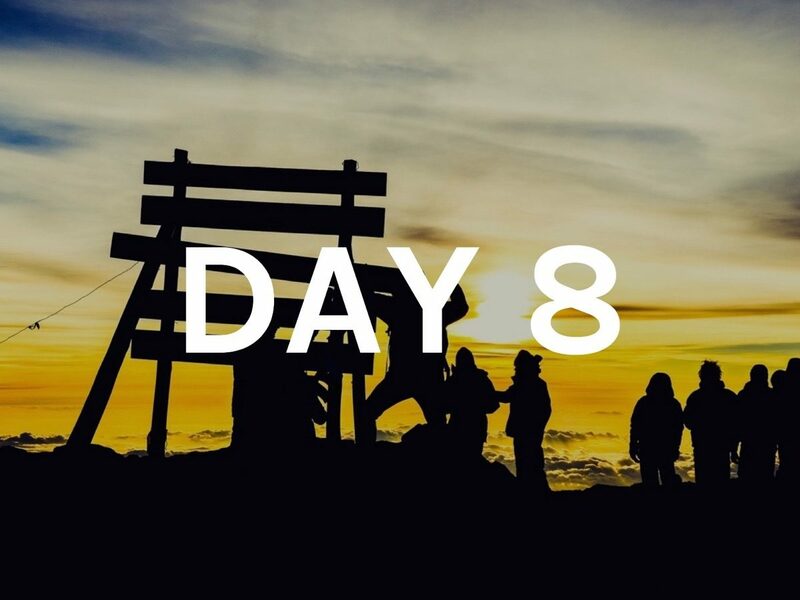 Day 6 began even before the previous day ended – around 11 p.m.! We planned to reach the summit at dawn. 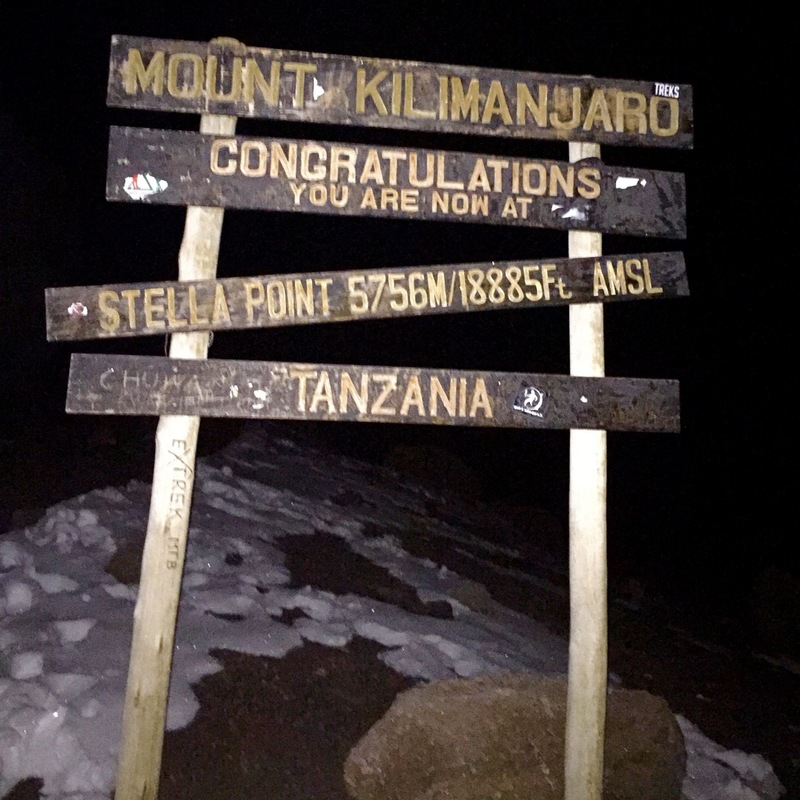 A little more than 1,200 meters of altitude difference and 6 hours of hiking separated us from reaching our long-awaited goal. 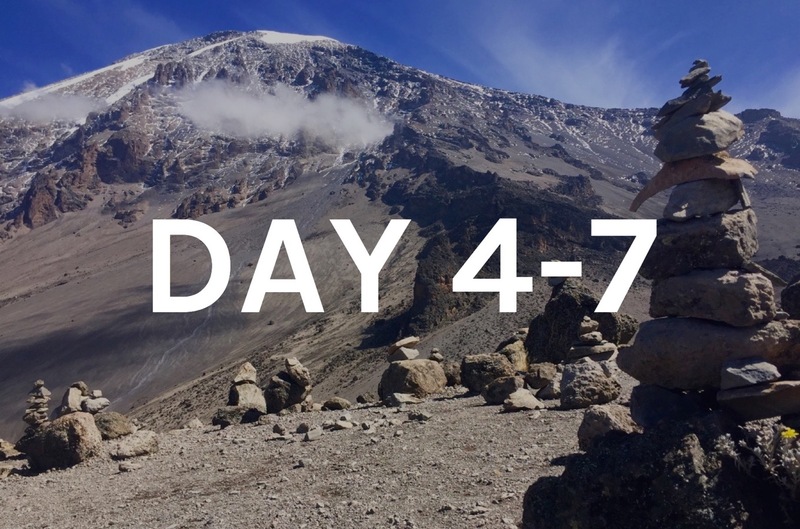 We had started organizing the trip in September 2016, read about “climbing Mount Kilimanjaro”, boosted our vaccinations, and bought equipment. All for this trip. 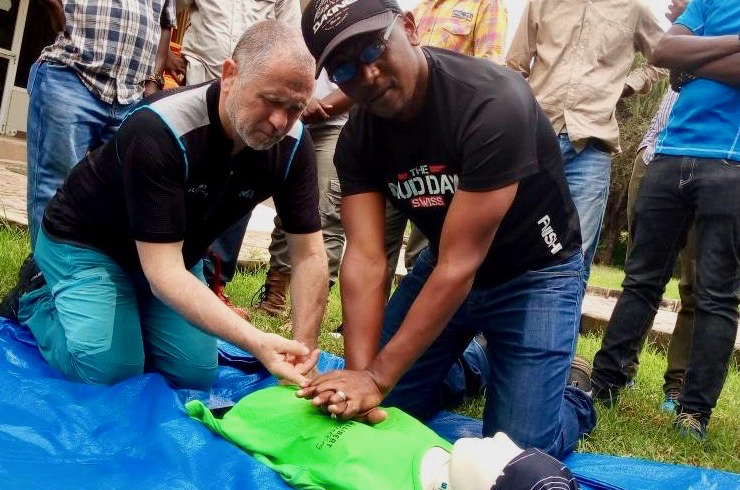 And for this moment, to be standing together on the roof of Africa! We set the alarm a little earlier than one would usually get up. Thus, we planned for enough time to reach the summit. Due to Timo’s condition, we already expected it to possibly take a bit longer than usually. “Pole pole”, slowly slowly. Everything ok. It is bitterly cold, notably less than 0 °C (32 °F) when Timo and I leave our tent. 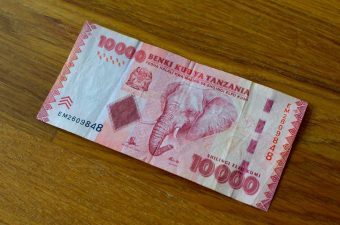 In the distance on the elevated plain of Tanzania we see the lights of the small cities and villages which little by little turn dark. Others go to sleep, we get up. The sky is clear, and I have seldom seen that many stars that clearly; in the outback of Australia, maybe, however, this was a long time ago. We are wearing warm clothes – long underwear, skiing pants, a thick jacket and a fleece beneath. The wind is ice-cold. Shortly before leaving the camp we get some rice to eat and something hot to drink, to boost our energy levels. 1,200 meters of altitude difference and 6 hours hiking separated us from the summit. Afterwards, another 2 hours of descend back to the base camp follow. That’s what we had to be prepared for. Our hand luggage is well equipped with snacks and water. 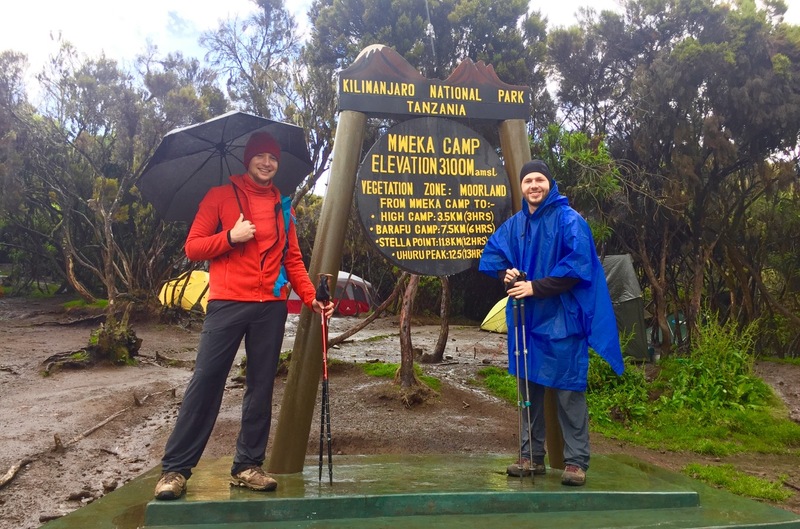 As adverse as landscape and weather conditions were (not even speaking about the time of the day and the efforts up to that point), and as exhausting as hiking got the higher we walked due to decreasing oxygen levels, as incredibly impressive it was, this moment up Mount Kilimanjaro. 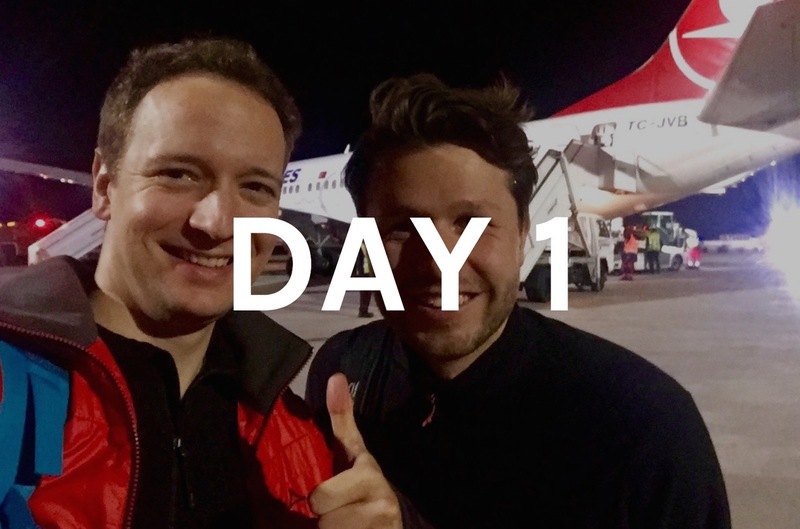 Because only few times in our life we experienced so many new and unique impressions, accepted a challenge of that kind, and had to motivate ourselves to that extent. Simply extremely impressive. 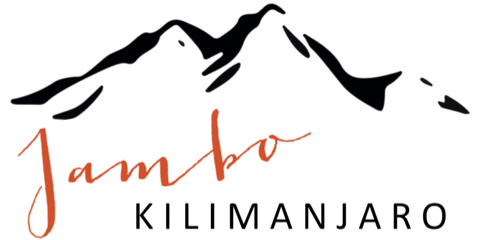 The experienced mountaineer may think: “Kilimanjaro? Piece of cake!” That might well be. Yet, around 15% of the people who attempt to climb the summit do not make it. And like many other travelers, Timo and I were no experienced mountaineers. We were hiking for hobby, at best. And so far, we had not yet arrived at the summit. 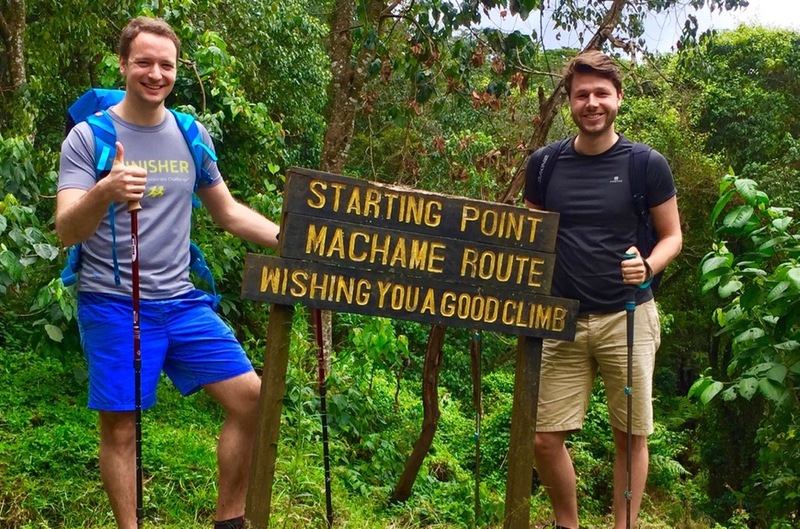 For our type of traveler, I would clearly say: Hiking Mount Kilimanjaro is impressive and challenging, even if everyone defines “challenging” differently. In any case, a basic fitness-level and certain mental strength are helpful. 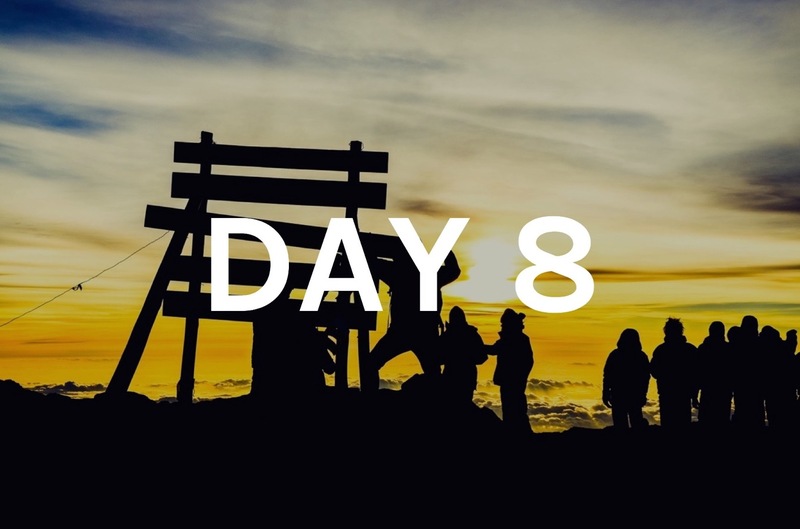 And even if someone feels climbing Mount Kilimanjaro is not a challenge, it can still be impressive and lead to new insights and perspectives. Step-by-step we walk through the starry, ice-cold night up the mountain. By now, the wind has eased a bit, which made hiking more pleasant. The way ahead leads up steeply, the way back leads down steeply. In the distance, we can still see some yellow-orange seas of lights. It is around two o’clock in the morning. 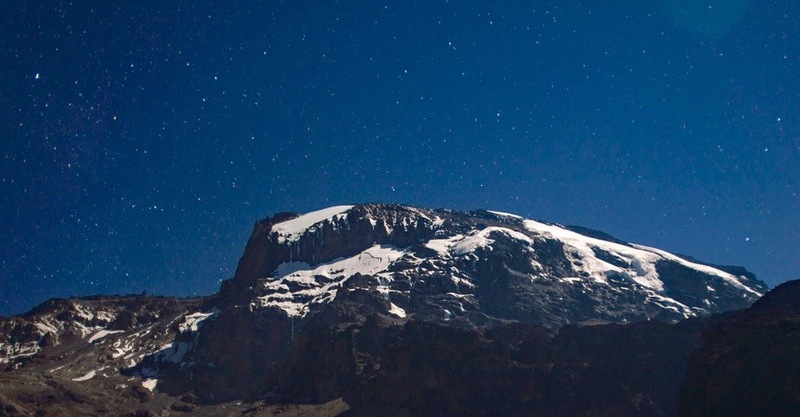 The summit of 5,148 meter (16,890 ft) high Mount Mawenzi, the second highest mountain of the Kilimanjaro massif, is almost at eye level. Thus, we had already passed the 5,000-meter mark, and hence the summit of 4,810-meter-high (15,781 ft) Mont Blanc, Western Europe’s highest mountain. The air becomes thinner, and breathing harder. „Everything ok so far?“, I asked. “Everything ok so far.”, Timo answered. So we continue our hike. We start taking more breaks, though. In ever smaller getting steps, we make our way up the mountain. 20 minutes later, at around 5,300 meters AMSL, I ask again: “How do you feel, everything ok?”. “I’ll try a bit more”, his response was. At that point, our guide Erasto engaged in the conversation. We should take care, not push ourselves too hard, not go further than we can. We should also consider splitting the group, so that everyone could walk his own pace. The ascent is exhausting enough, oxygen levels decrease. Walking too slowly can also make someone, who would have normally made it, end the ascent early and descend. “What do you think, Alex?“. “If Timo is still up for it, we try it together.”. 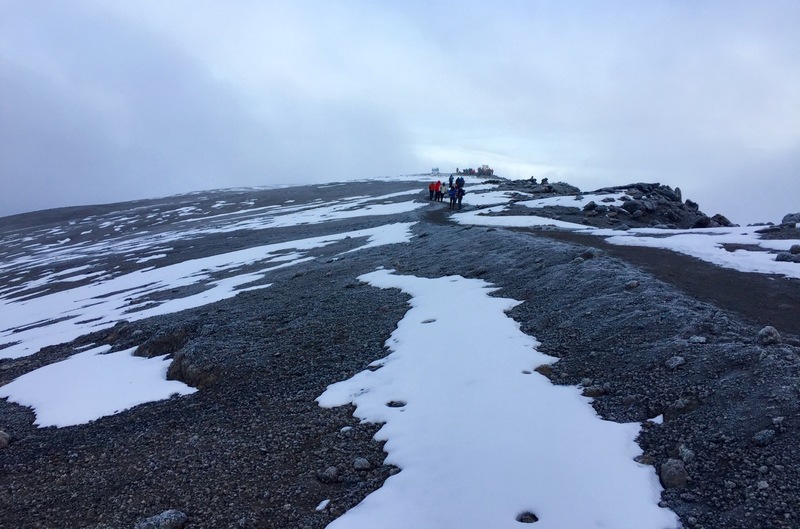 Only a few minutes later, at around 5,400 meters AMSL (17,717 ft), around two to three hours away from the summit, however, we realized – that was it. So what do you do in this situation; as a group, and as a good friend? 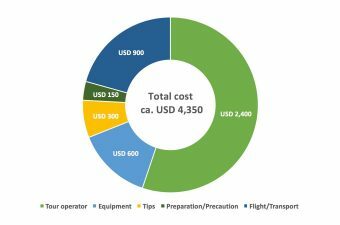 Hoping it would not be an issue, we had discussed that case before our trip. Our conclusion was – if, at that moment, it is fine for both of us we split the group. Thus, at least one of us could climb the summit. 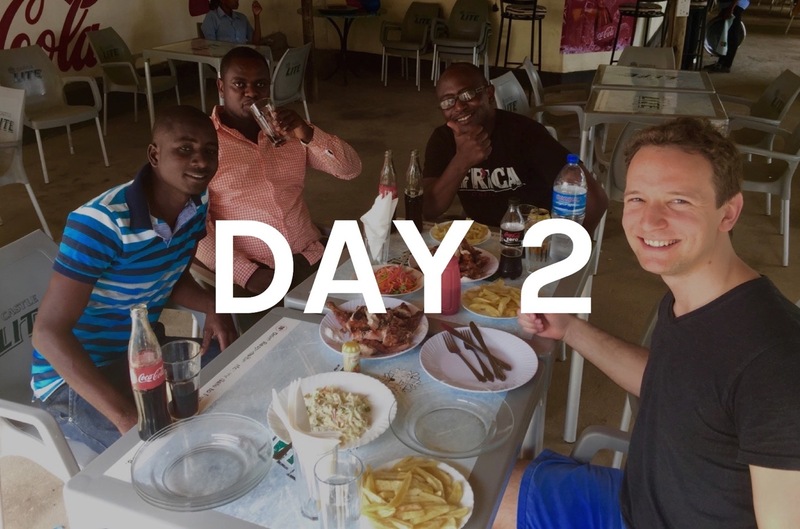 After a brief discussion, we agreed that I continue together with our co-guide Amos. Timo took the farewell sportsmanlike. That made it easier for me to wish him well for the descent back to the base camp together with Erasto. In another blog post, Timo will provide you with detailed insights into his experience with the height. Together with Amos, I continued the hike up the mountain. The way got increasingly steeper, the air thinner. Still, we kept our pace, and even if I felt I was running a marathon uphill, it somehow worked. “Think positive”, I had in mind, one of the sentences Erasto liked to say. Those who make it to that point, have almost made it to the top. And yet, there are always some who do not pass this point, and end the trip due to physical conditions. Arriving at Stella Point was an overwhelming feeling for me. 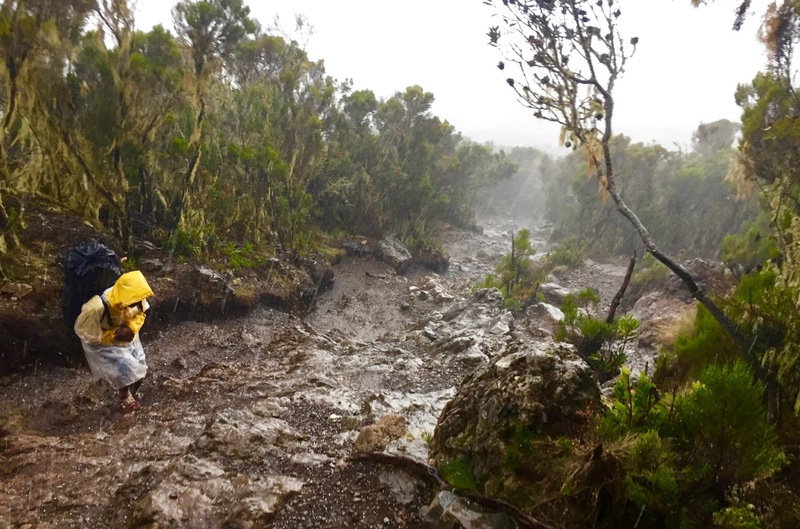 The way from Stella Point to Uhuru Peak runs on a ridge. Darkness slowly gave way to dawn, the wind blew strongly. By that time, I had added a headband to my bonnet, which did a good job until then. 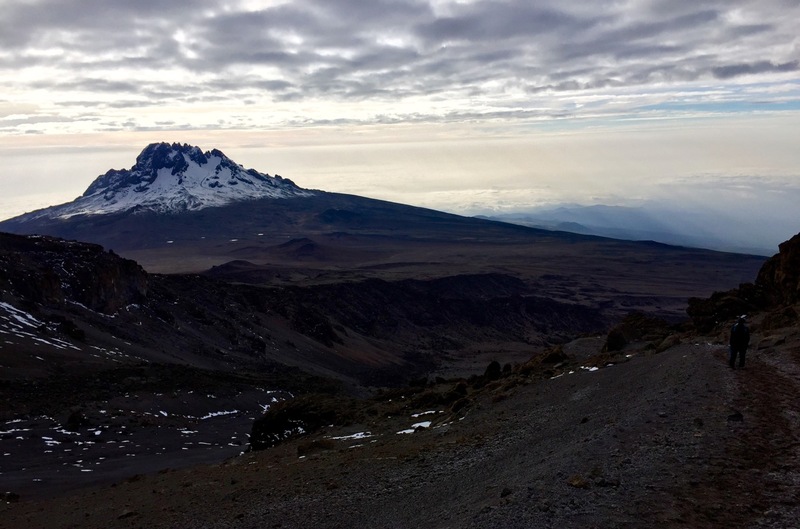 Another half hour later, and only few more meters ahead, I could see it in front of me – Uhuru Peak, the summit of Mount Kilimanjaro, Africa’s highest point, 5,895 meters AMSL (19,341 ft). I made it! A memorable and impressive moment. 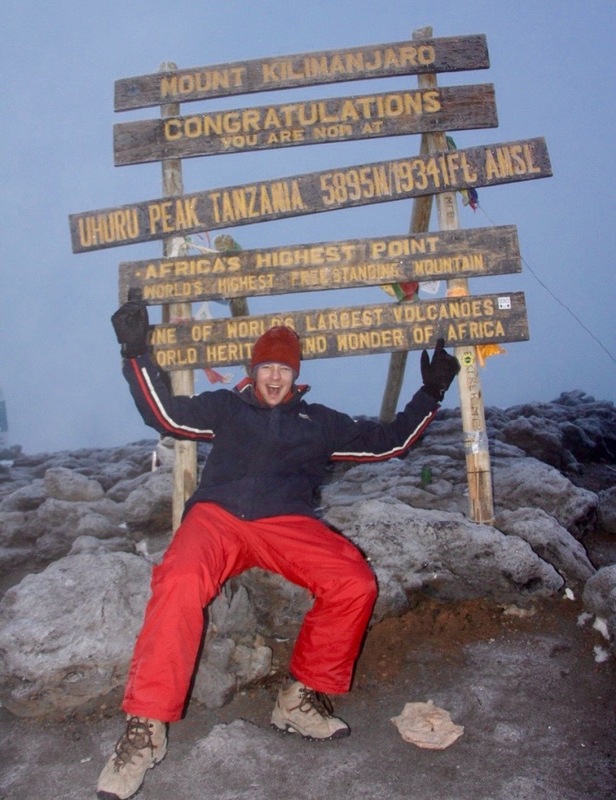 However, I would have preferred standing with the entire group in front of the summit-sign of Uhuru Peak. 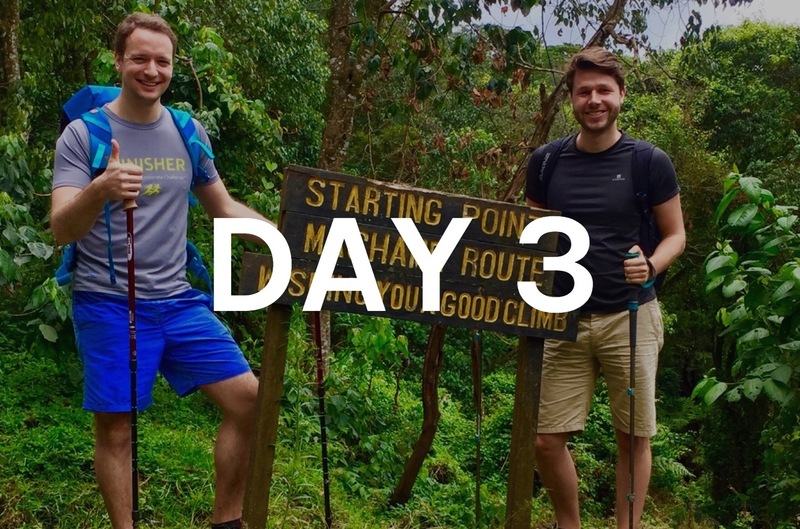 Around 6 in the morning Amos and I finally reached the summit of Mount Kilimanjaro, the world’s highest free-standing mountain. Some other hikers had already arrived, others followed. The darkness of the night had given way to dawn by now. The resulting illumination, the views, and the consciousness of having reached the roof of Africa made this an unforgettable experience. We spent nearly half an hour up the top. Meanwhile, the sun had risen, leading to incredible views. 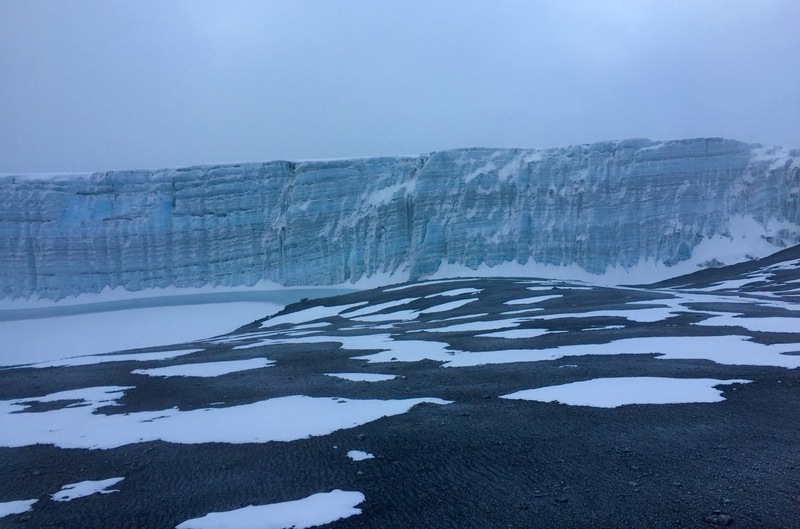 Also the glaciers up the mountain were imposing – enormous ice masses that are several meters high and thousands of years old. All the worse that they will have probably largely disappeared especially from Kibo within the next 5-10 years. 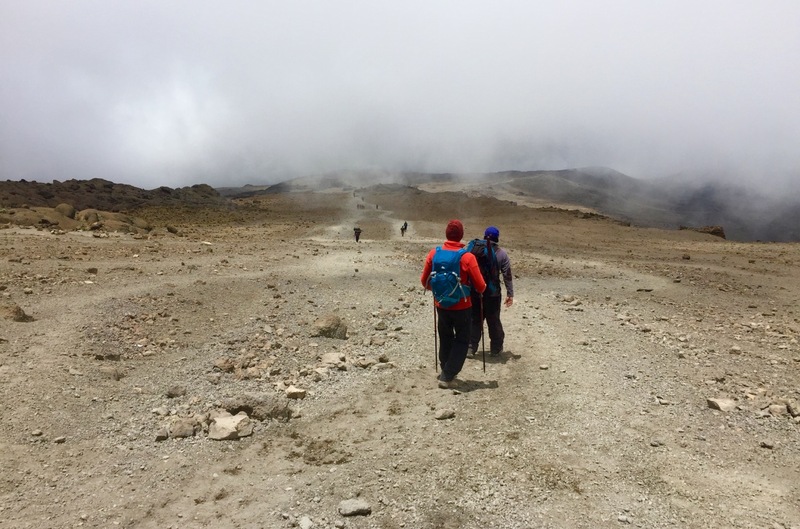 The descent to Barafu base camp turned out to be quick, even though I found it exhausting. Around 9 a.m. we arrived back at the camp. Timo was sleeping, and Erasto welcomed me happily. After a big breakfast and some rest we started the last stage for the day. 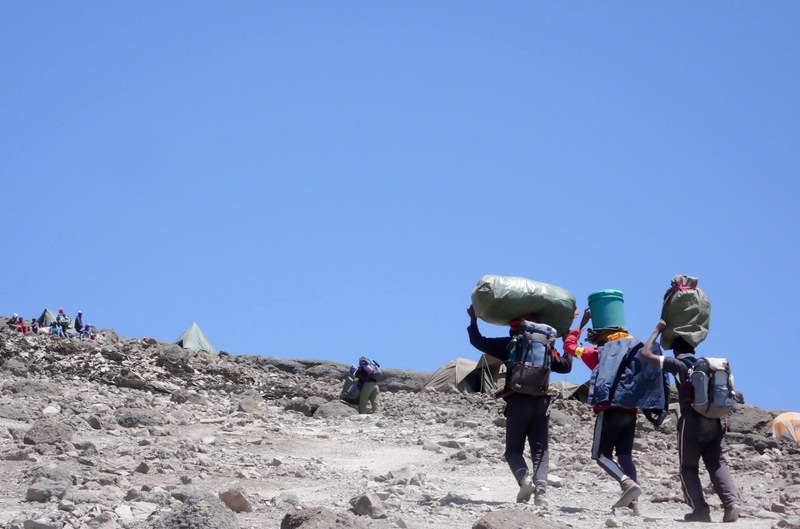 The way from base camp to Mweka Camp leads continuously downhill. At first, we walked through the stone desert, which started to be increasingly populated with the plants the further we descended. After a couple of hours, we finally arrived back at the border between stone desert and moorland. By now, we were only around 3,500 meters above mean see level (11,483 ft). What felt like thin air some days ago had become normal. Our bodies had adjusted to the height, which was great to see. After 3-4 hours walk in total we finally arrived at the last camp of our trip. 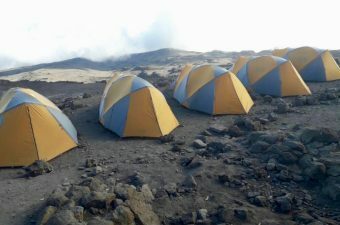 Mweka Camp resembles Machame Camp, the one we passed the first day. It is located in the middle of moorland. Again, there were numerous bare spots amid the ferns and trees. As European spring time is low season, however, these were only partially filled with tents. 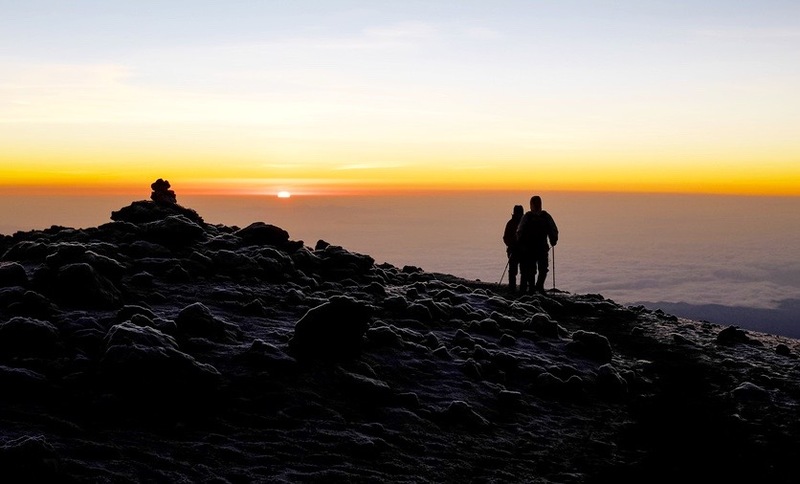 There is nothing such as the best time to climbing Mount Kilimanjaro. It rather depends on your personal preferences. In March, for example, precipitation increases, however, the number of visitors decreases. 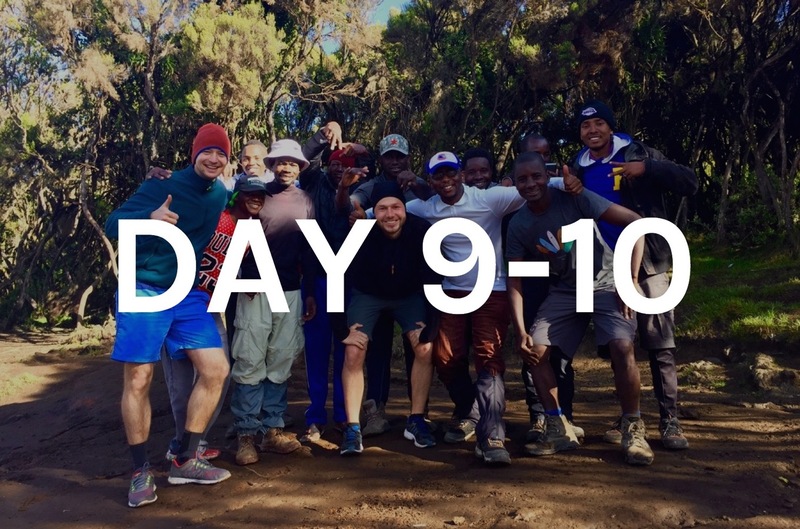 You should thus decide on the time of the year for climbing Kilimanjaro with regards to these aspects, among others. 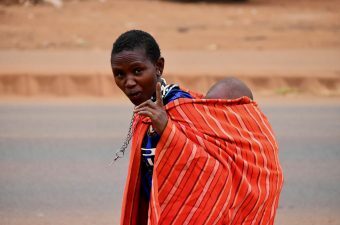 We had had an unforgettable and unique experience!